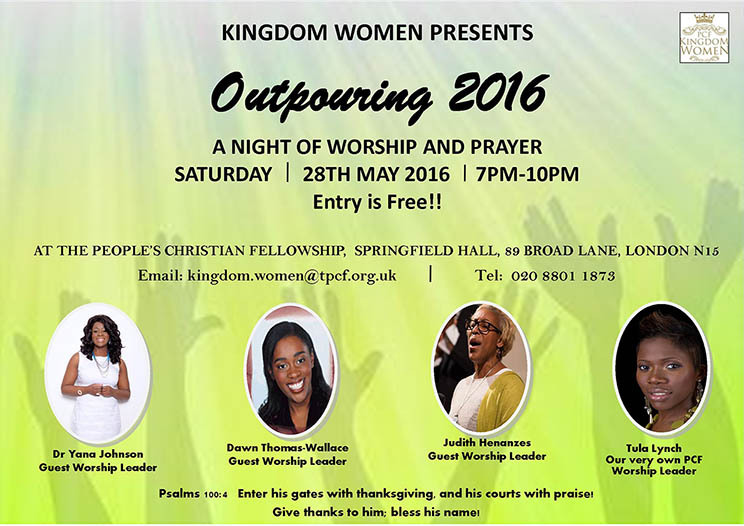 Kingdom Women are excited to announce their Worship Evening on the 28th May starting at 7pm. We are expecting a move of God in North London. Come, and experience an awesome evening with our Women’s Ministry. Everyone Welcome – so be free to come into his presence, and bring a sister or friend(s) or neighbour. Let’s come together and adore, exalt, give thanks and dance before the Lord. ← Soulful Relationships – BRING A FRIEND!